Hi guys, I just got done scouring the Sunday Soiree link party and have put together another round up of “10 DIY Projects For Your Home!” I love getting to see and learn what you all create, make and put together for your homes etc. so well done. 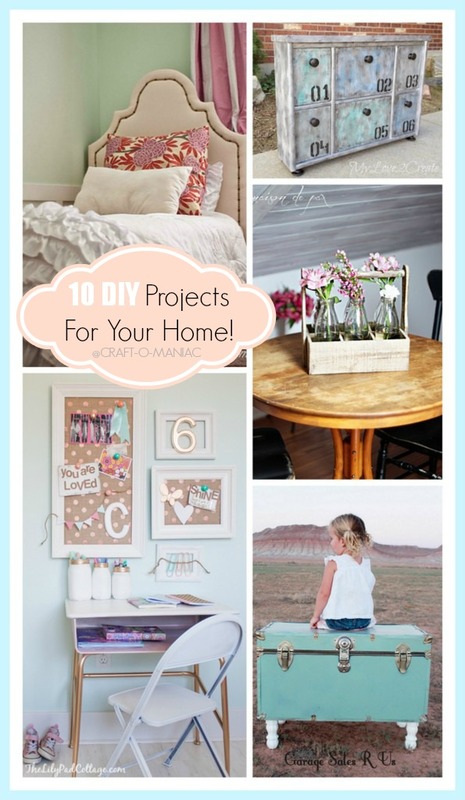 So lets check out these 10 DIY Projects For Your Home. 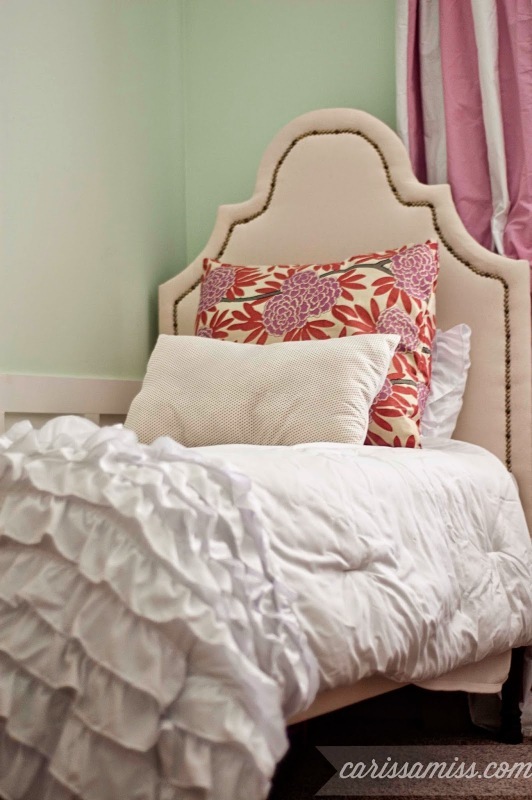 DIY Twin Upholstered Bed- Source Here. 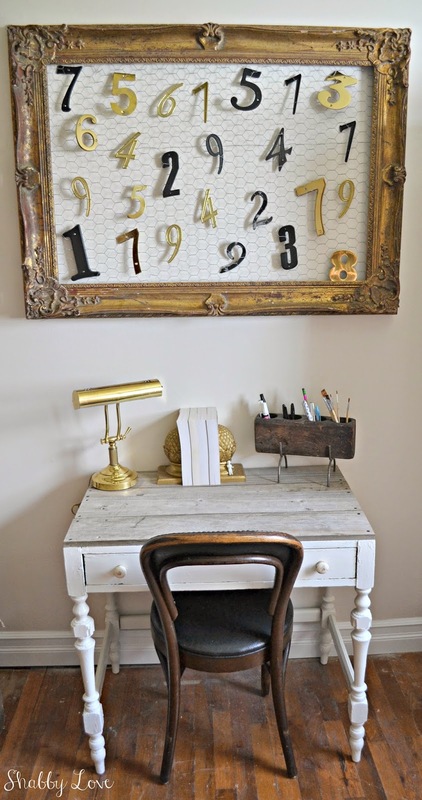 DIY Faux metal upcycled shelf- Source Here. 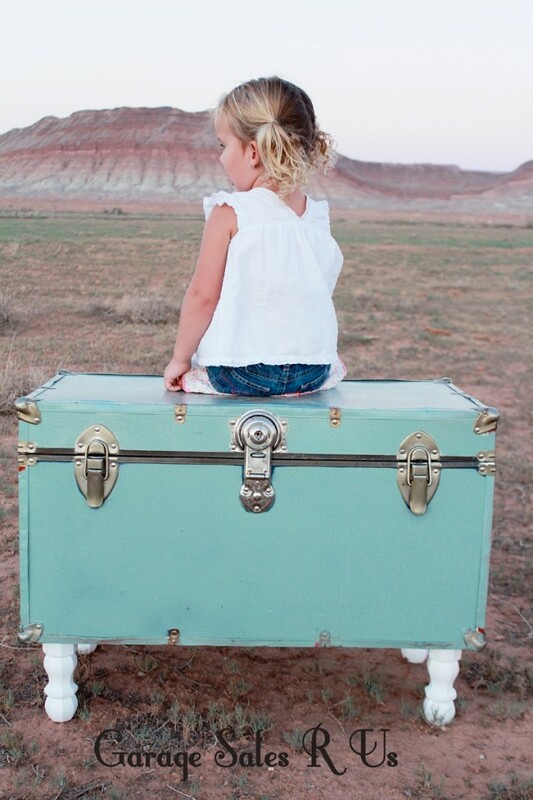 DIY Reclaimed Wood Carrier- Source Here. 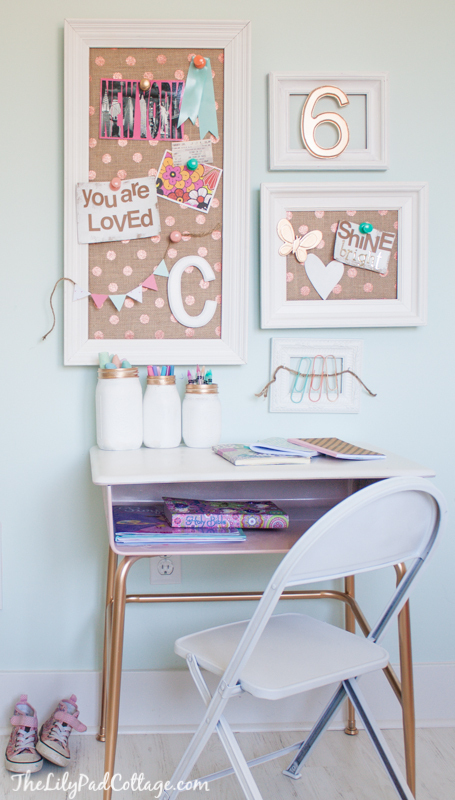 DIY Kids Desk Makeover and Crafting Station- Source Here. 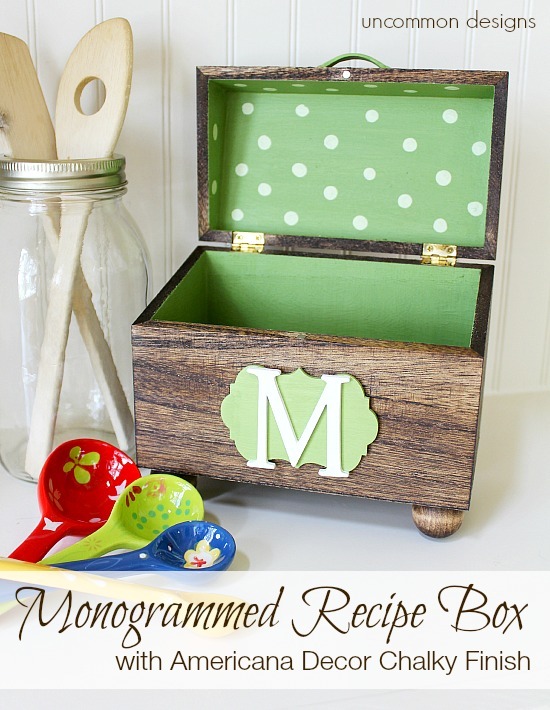 DIY Monogrammed Recipe Box- Source Here. 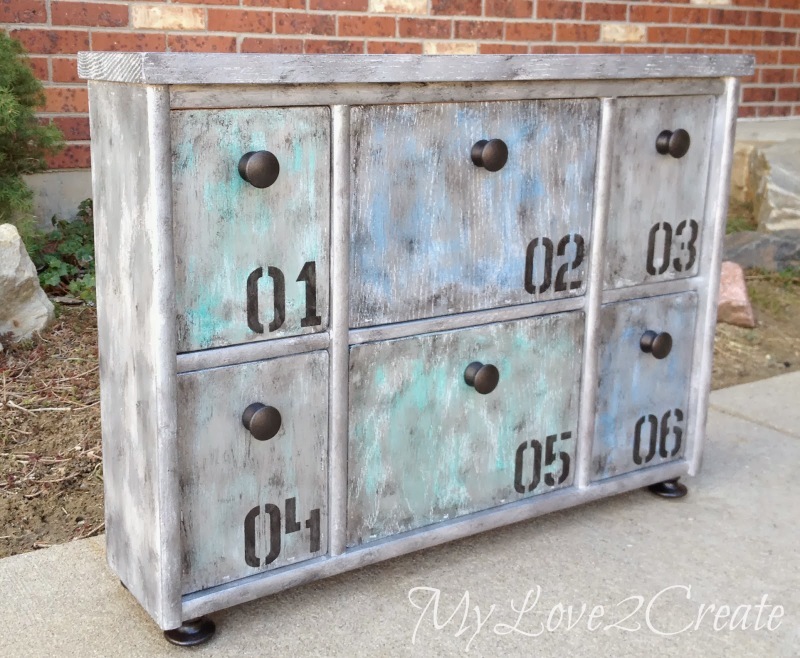 DIY Old Trunk Re-purposed- Source Here. 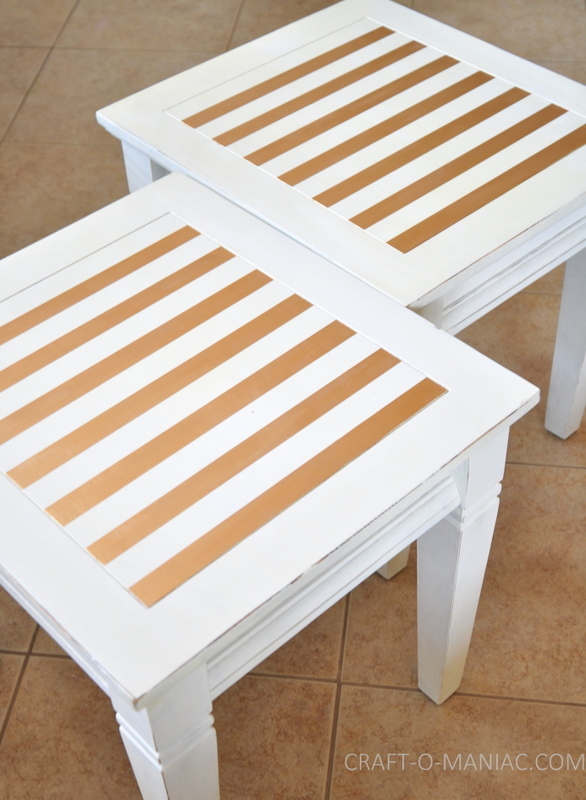 DIY Gold Striped End Tables-Source Here. 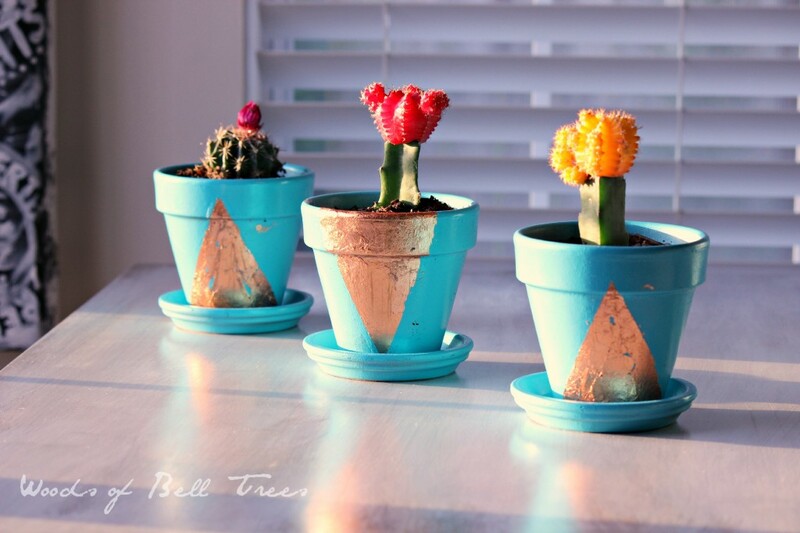 DIY Copper Leaf Planters- Source Here. 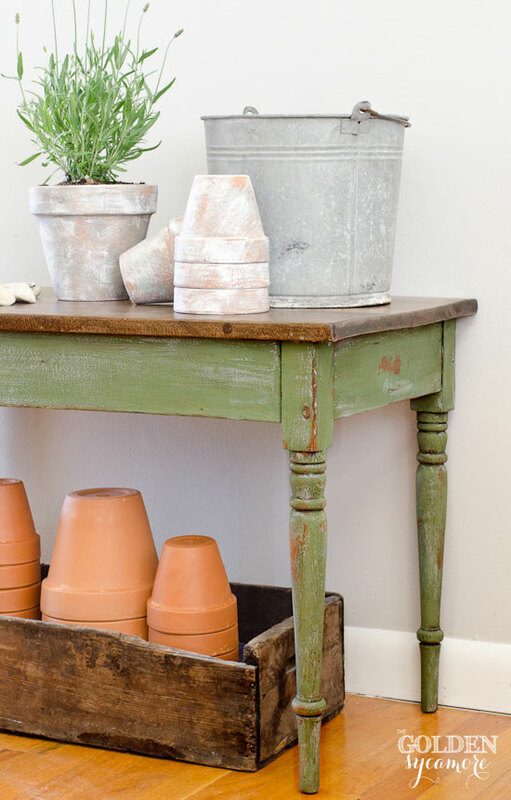 DIY Distressed Potting Bench Table-Source Here. Thank you all for linking up each Sunday evening and sharing your talents with all of us. And than you for stopping by COM today too. Great ideas. Thanks for sharing them. Great roundup! Thanks so much for including my faux metal upcycled shelf! So many fabulous projects! 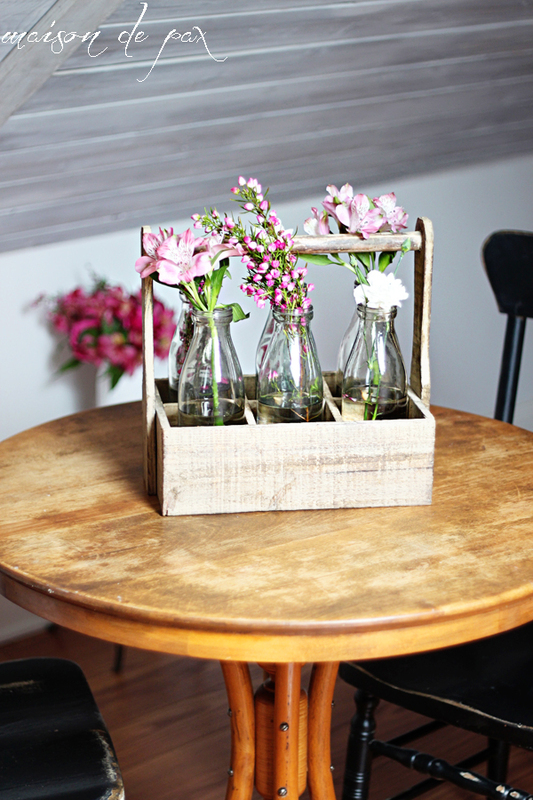 Thanks so much for including my reclaimed wood carrier, Jen. Have a great week! Thank you soo much for featuring my copper leafed pots! Some of these projects were among my faves! Great talent abounds!